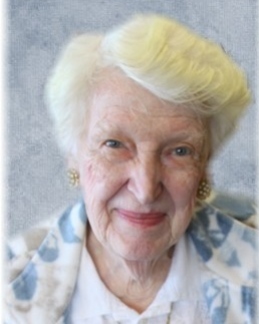 Rose F. Isch, 89 of Zanesville died Wednesday, March 20, 2019 at her home following a sudden illness. She was born October 25, 1929 in Pickens, WV the daughter of Benjamin F. Isch and Selena Mary Bennett Isch. Rose was a 1951 graduate of Davis & Elkins College. She received her Master’s in education from Ohio University in 1965. She retired from Zanesville City Schools after teaching for 30 years. She was a member of Central Presbyterian Church, Delta Kappa Gamma Society, Salvation Army Women’s Auxiliary, American Association of University Women, Zanesville Women’s Club, and the Ohio Retired Teachers Association. She had also been a volunteer for Bethesda Hospital having volunteered over eight thousand hours. She is survived by a sister, Mabel Spiker; two half-brothers, Arthur Isch & Alfred (Libby) Isch; numerous nieces, nephews and countless friends. In addition to her parents Rose was preceded in death by a brother Frank Isch and a sister Nellie Lake. Visitation will be held 4:00 PM to 7:00 PM on Monday, March 25, 2019 and one hour prior to service time at the Bryan & Hardwick Funeral Home. Funeral service will be held at 11:00 AM Tuesday, March 26, 2019 at the Bryan & Hardwick Funeral Home with Pastor Tara Mitchell officiating and assisted by nephew, Brad Isch. Burial will conclude at the Zanesville Memorial Park Cemetery. Memorial contributions can be made to the Central Presbyterian Church, 1912 N 6th St, Zanesville, OH 43701. The Bryan & Hardwick Funeral Home, 2318 Maple Ave. Zanesville is in charge of the arrangements. To share memories and condolences with Rose’s family please click on the Tribute Wall tab on this page.